Pain may be felt prior to activity or in the morning after you wake up, with a decrease in pain as the tendon warms up with use. Swelling is not normally found with this particular injury, but may be present in extreme cases. If untreated may develop into heel spurs. 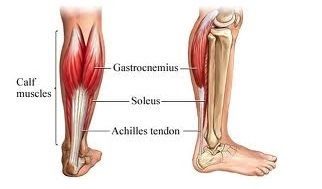 The dual interior pads allow the Achilles tendon to glide in alignment and maintain a smooth motion while the A-Strap located on the outside of the AT-1, while multiple adjustable Velcro fasteners, help push the foot down (Plantar Flexion) to reduce the tension on the Achilles tendon as heel strike occurs. Find the Zamst AT-1 at any of our Fleet Feet Sports – Chicagoland locations. If the pain persists you can sign up for one of our monthly Free Injury Screenings with a physical therapist from Athletico or go to our Medical Referral page to find a specialist to assist you in finding a solution to your problem.